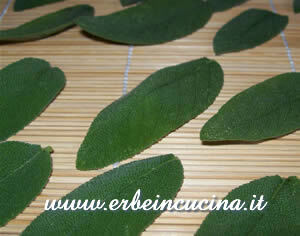 Sage (Salvia Officinalis) leaves are used fresh or dried with cheese, mushrooms, pork, teas, stuffing, soups. 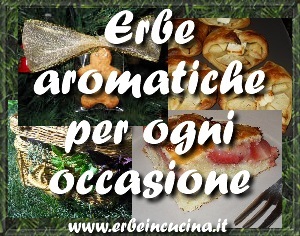 When dried, their aroma becomes stronger. 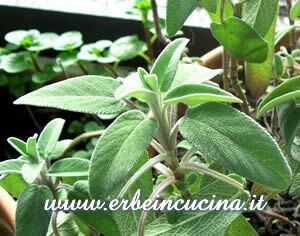 Sage flowers are used fresh in salads. 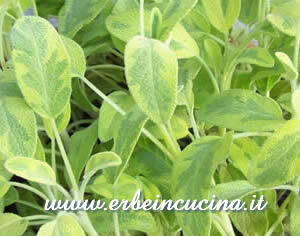 This is Golden Variegated Sage (Salvia Officinalis Icterina) a different cultivar with variegated leaves. 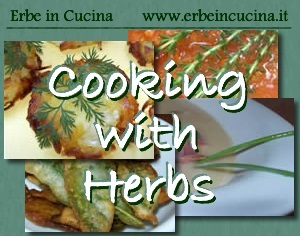 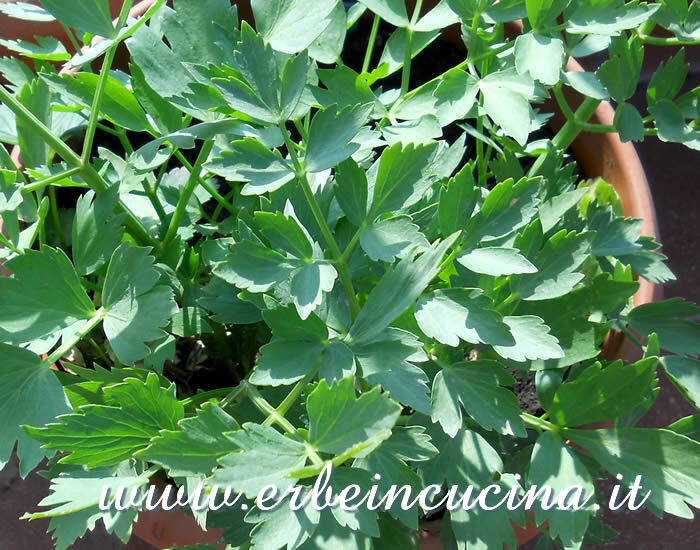 All sage recipes on Erbe in Cucina (Cooking with herbs).